Fred Manaker entered Rice to study electrical engineering in the fall of 1914. He was raised in Alvin and graduated from Alvin High School, although his family later moved to Fulshear. His father, Philip Manaker, had apparently been an engineer himself and had some responsibility for the first electric light and water systems built in Alvin. Fred had the aviation bug pretty bad. We have his scrapbook from his years at Rice–it’s a really fun one, too. He had a lot of friends and he carried a camera around with him. Besides airplanes, he enjoyed goofing around in the residence hall and playing a lot of poker in addition to the usual dances and Rice athletic events. 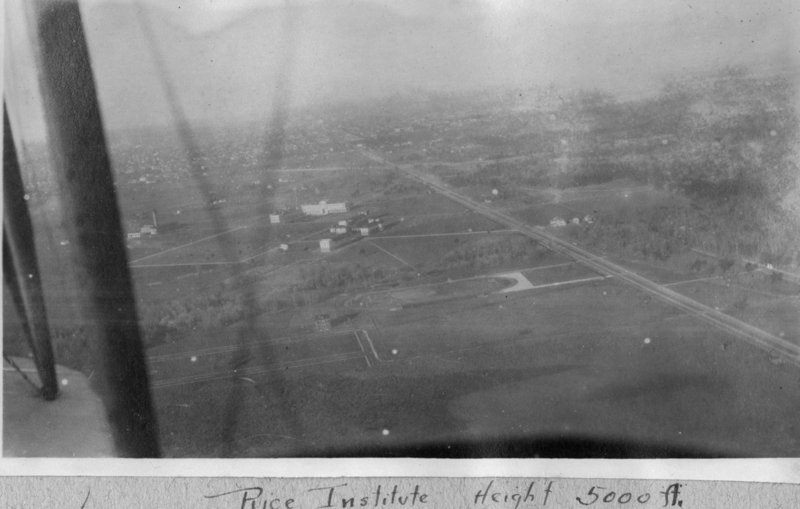 Pound, who taught mechanical engineering at Rice from 1914 until his early death in 1942 (he was 51) also seems to have been deeply interested in flying. I discovered yesterday that we have a small collection of his papers, which were rescued from a trash bin in Hanszen in 1973 and brought in to the Woodson by James Latimer (’73) . In this collection is a typescript of either an article or a talk entitled “The Future of Aviation.” I don’t have this yet–it’s stored out in the Library Service Center and I’ll get it later today–but I’ll let you know if there’s anything interesting in it. 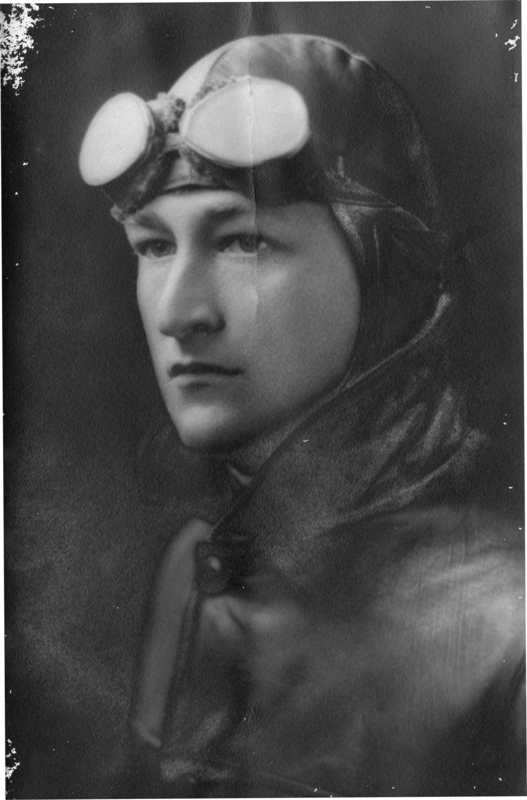 Fred Manaker left Rice and entered the Army Air Service in the fall of 1917. He received training at the School of Military Aeronautics in Austin and was commissioned a Second Lieutenant on October 22, 1918. 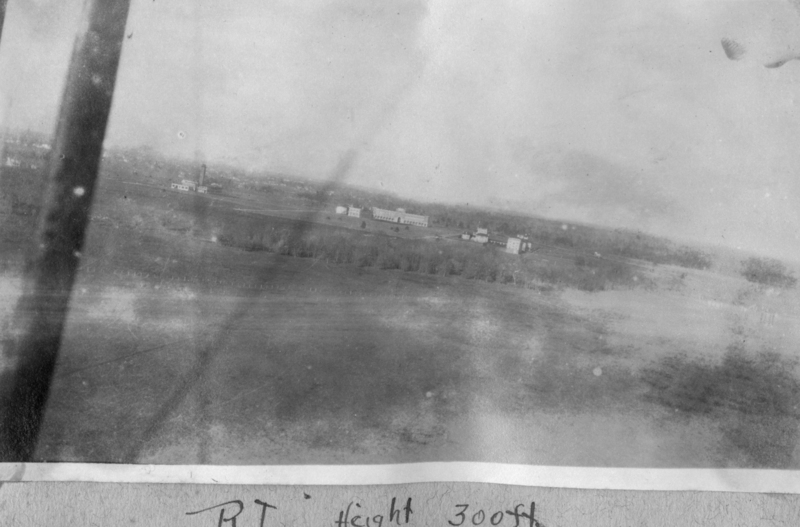 Stationed in the spring of 1919 at Ellington Field, Manaker was killed on May 23 near Fulshear, within sight of his parents, when the DeHaviland plane he was flying went down in a high wind and burst into flames.